Just Aero Works, Inc. provided test pilot services for first flight and subsequent flight testing of the new jet engine Predator C Avenger. We have exceptional pilots available to work for you in any capacity your program requires. From flight instructors to mission pilots, we have experienced pilots ready to work. Our sensor operators are some of the most experienced in the industry. This experience is not only as sensor operators but also as non-flying crewmembers. Our sensor operators receive the same ground school as our pilots, and also receive annual crew resource management, (CRM) training. Our technical writers specialize in both the development of new manuals and the conversion of existing manuals into ones specific to your use of the asset. Safe flight requires good procedures. Our team understands how the aircraft is flown operationally. We also have first-person experience with almost every in-flight emergency in the checklist. This, combined with good systems knowledge, gives us unique insight to good procedures development. 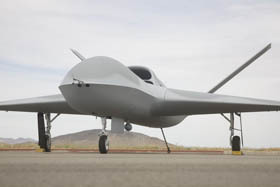 Our pilots have done 1000’s of hours of UAS flight tests including first flights of a new design, airframe, engine, propeller, external stores, autopilots, performance takeoff and landing distances, cross wind landing limits, climbs and descent performance data, fuel flows, low speed, high AOA testing, and lost-link testing and development. First flights at new sites are a potenally high risk event. 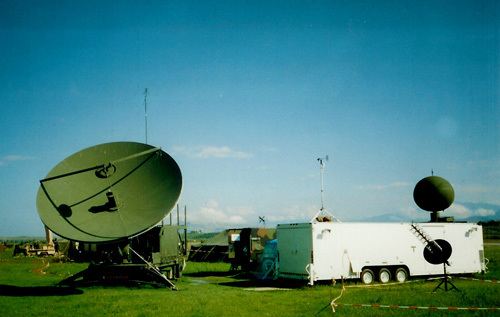 Proper placement of the datalink antennas and lost-link missions, as well as establishing the proper presets for the site, are critical to safe flight. This can only be done with experience. Read about our 2008 search and rescue missions.